Tortoises might be slow, but even they have more energy than sloths. Celebrate your love of taking it slow n? 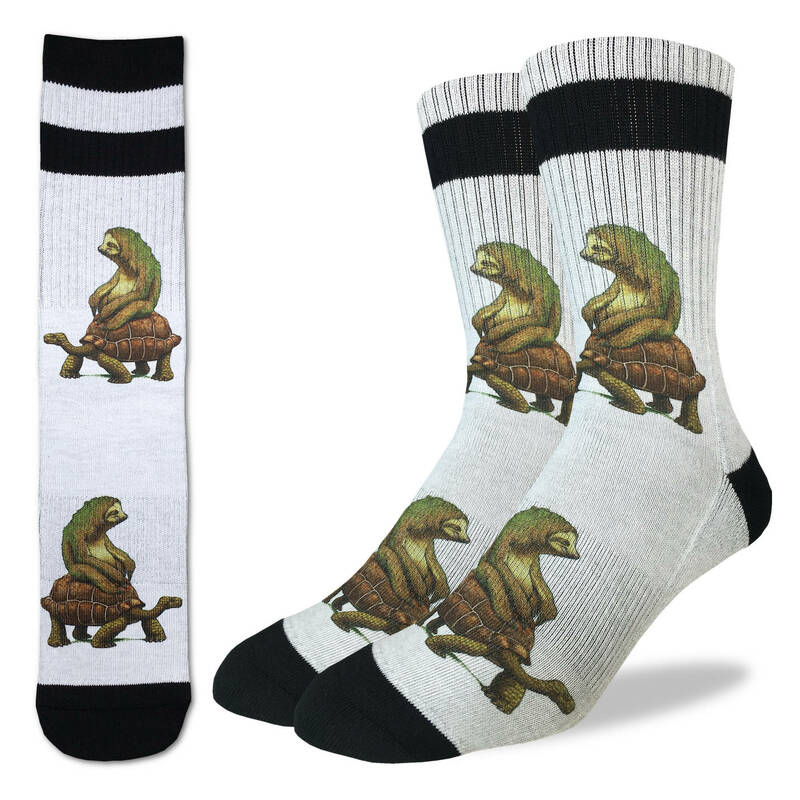 easy in these cute animal printed socks featuring a sloth taking a ride on a tortoise.